Think you know your pop music? Put your knowledge to the test at The Raider's Bar. 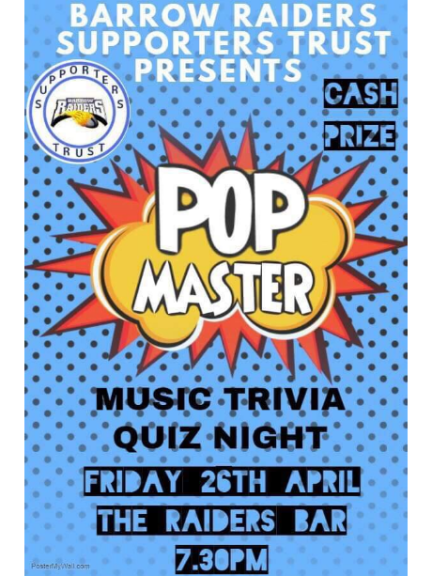 Pop Master - Music Trivia Quiz Night. Cash prizes and great fun!